There are many best third-party Weather apps in the Apple App Store. Even though, Apple’s official weather app is better and little difference in the field of the User interface, customize wise, etc. because of you can add more locations to get Weather information on your Smartphone at any time. It doesn’t matter. Where you are still, but you can get accurate details of Weather forecast of any seasons of the planet like Summer, Winter or Monsoon. 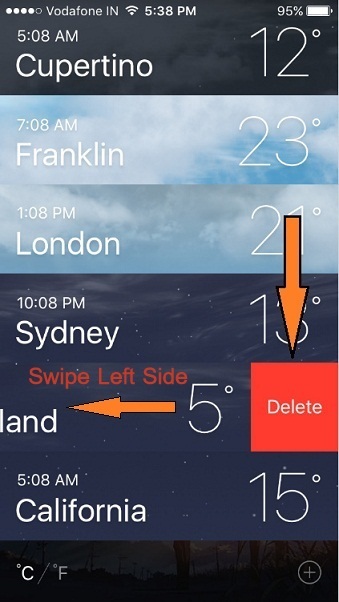 To gain it with a single tap, you should Add City in iPhone Weather app in latestiOS. If you’ve no such idea, then dive on below illustration to set up. Please note that to get current location accurate data Such as Chance of Rain, Humidity, The Wind, Pressure, Visibility, UV index, Sunrise & Sunset. 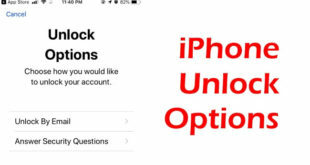 So you must have enabled location services on your iOS device (iPhone XS Max, Xs, XR, X/iPhone 8/ iPhone 8 Plus, iPhone 7, iPhone 7 Plus, 6S Plus/ 6 Plus/ 6S/ 6/ 5S/5 and earlier). 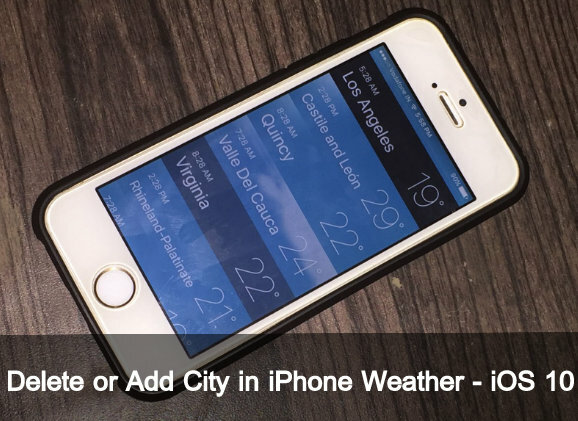 You can add maximum 20 Cities/ locations in iPhone weather app. After that ‘’+’’ icon to add city becomes grayed out. Step 1. Launch Latest Weather App from your iPhone Home Screen. Step 2. Now Tap on Three horizontal line appear right-bottom side and then Tap on “+” icon to get locations Search bar. Step 3. 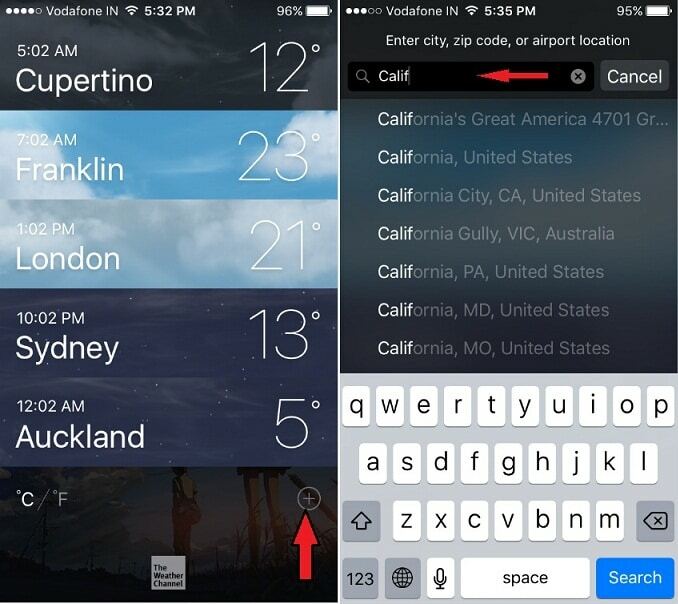 Now Enter a City Name or Zip Code or Airport location that you want to see in the Weather App City list. Step 4. Next, you can appear a Downtown in Search Bar tap on it. So enjoy maximum 20 cities Weather information on a single screen. Know your city’s future week forecast, and it will be Fog, Cloudy, Mostly Cloudy, Partly Cloudy, Mostly Clear, Sunny, Rain, Thunderstorm, Showers. With Temperature measurement in Celsius and Fahrenheit. To delete city or locations also easy go below to know that. Step #1. 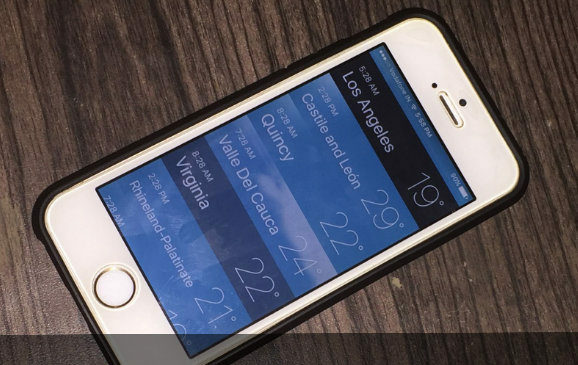 Launch Weather App on your iPhone. Step #2. Tap and hold on City name, then swipe to the left side. Step #3. You will get a Delete option tap on it. Do you encounter weather app iPhone not working? 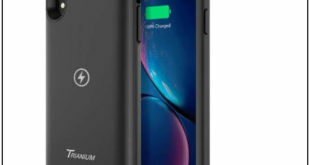 Please do there are two things – make sure your iPhone has closely connected to Wi-Fi or Cellular data connection. If internet connectivity or however Weather app doesn’t allow to Add City in iPhone Weather or more locations, then Restart your iPhone and Try again. I hope this would help you quickly. Thanks for reading us. 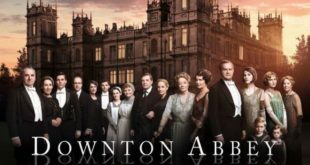 Subscribe our blog and get daily new tips and tricks on Apple iOS, macOS, WatchOS, and tvOS. Like post? Share it.